be illusion apart from such thoughts? the Supreme Bliss of Liberation. the method of enquiry in quest of the Self. oneâ€™s hold on the Self constitutes jnana (knowledge). troubles, though he may be healthy. All suffering is due to the false notion â€˜I-am-the-bodyâ€™. Even during such passing phases, we should never forget that, really, there is nothing that dies or nothing that takes birth. We should even cultivate the contemplation of the Truth that we are deathless really and we are not the body. This is our greatest Oblation or Namaskarams possible for a Guru. General topics / Re: Where is seer & seen? We get a sense of great gratitude to be born in the country which gave birth to so many great Sages and Saints. That is why, Indians are so (sentimental) about even the soil of this country, even the mud of our Bharata country is worth to be put on our forehead. â€œSuch wealth I have seen in this country, such high moral values, people of such caliber, that I do not think we would ever conquer this country, unless we break the very backbone of this nation, which is her spiritual and cultural heritage, and, therefore, I propose that we replace her old and ancient education system, her culture, for if the Indians think that all that is foreign and English is good and greater than their own, they will lose their self-esteem, their native self-culture and they will become what we want them, a truly dominated nationâ€�. 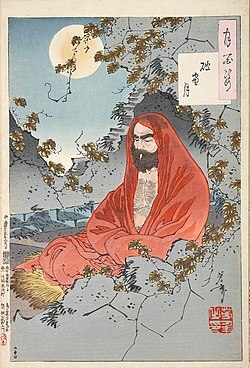 recently I had been looking around to know more about Bodhidharma. Bodhi Dharma was a buddhist monk who was originally from India, from tamil country of Kanchipuram, Pallava dynasty, the third prince. One set of researchers say, he was a kshtriya and other set of researchers say he was a brahmin. Bodhidharma was the first Shaulin monk and it was he, who established the martial arts school in China. 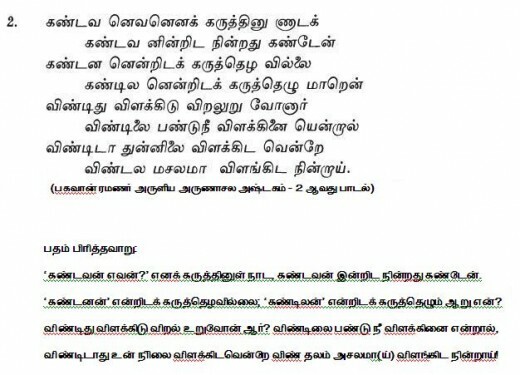 Apparently, a movie is being made based on him in tamil. He was the 28th Patriarch of Buddhism from the direct line of Buddha himself. 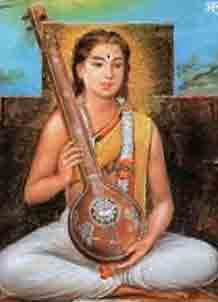 He is said to have lived around 5th and 6th centure, 2 centuries before Adi Shankara. He left to China to preach the true Buddhist essence to fulfil his Guru's last wish before his death. Naturally interest arouse in me to know more about Bodhi Dharma. Bodhi Dharma is perhaps the father of Zen Buddhism, He gave more importance to essence than everything else. I found these very small set of 6 videos running into just few minutes, really thought provoking! As I finished seeing it, I wondered how come a new religion came over known as Buddhism, because, I was unable to find out how Buddha was different from our Vedic seers. In that matter, I am unable to distinguish even Jainism as well! Friends, these are valuable small videos! Do take a couple of minutes to watch this. After about half an hour, again Buddha asked the same disciple to go back to the lake. The disciple went back, and found that the water was still muddy. He returned and informed Buddha about the same. Buddha looked at the water, and then he looked up at the disciple and said, â€œSee what you did to make the water clean. You let it be, and the mud settled down on its own and you have clear water. Having â€˜Peace of Mindâ€™ is not a strenuous job; it is an effortless process! resplendent soaring to the sky. General topics / Where is seer & seen? But when we met, you disappeared. You made me disappear as well. Where is the seer and where is the seen? I approached the ticket counter at 5:30 p. m. to buy my ticket to Tiruvannamalai, but to my amazement the clerk refused to sell me one! Nonplussed, I was standing transfixed when a kind elderly man nearby informed me that the town of Tiruvannamalai is quarantined because of a plague epidemic and so no tickets to that destination can be sold. He advised me to buy a ticket to Tirukkoviloor, and to quietly get off at Tiruvannamalai when the train stops briefly to unload mail. Tirukkoviloor is the next station after Tiruvannamalai. When asked for a ticket to Tirukkoviloor, the ticket clerk asked me for additional money. I didn't have it. Crushed with unimaginable frustration, I stood to one side thinking of Bhagavan and overcome by sorrow. When there was only a few minutes left before the train to Tiruvannamalai was to arrive - wonder of wonders - the mystery of Bhagavan's grace descended upon me! 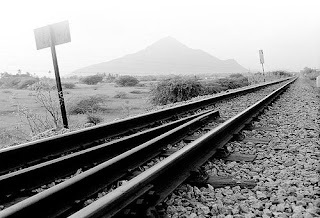 Between the two rails, just a short distance from where I stood, a quarter-rupee coin lay glittering. I immediately picket it up and ran to the ticket counter. My train arrived in the station the very moment I was handed the ticket to Tirukkoviloor. Thrilled with the thought of Bhagavan's grace on my poor self, I got on the train and found a seat. Kunju Swami was very young when he first came to Bhagavan. At times Kunju Swami and a friend, for fun, would see how many times they could run from Skandashram to Virupaksha Cave and back. Chinnaswami would object: "This boy is so irresponsible! It is his duty to bring us food from the town - what if he falls and breaks a leg!" Bhagavan would tenderly say, "It is not he who is doing it... It's his age that is doing it!" In speaking of a misdeed, the strongest word Bhagavan would use was "mischief". 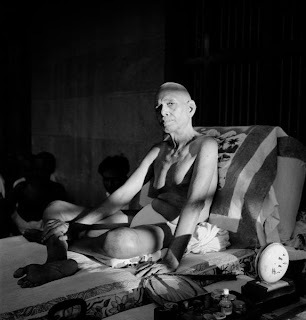 Kunju Swami described Bhagavan's state of mind as all-knowing, yet without an element of personal will; that is, he did not "read" minds nor would he give any indication or display of this ability. It was simply his natural state. The thoughts and past deeds of all were immediately apparent to him. About this facet Bhagavan once commented, "It is true I know the innermost thoughts of you all, but if I brought them all to light would any of you stay here?" Kunju Swami narrated this with a laugh. Bhagavan's complete and total disregard for siddhis set him apart from virtually all other saints, Kunju Swami noted. It seems on one occasion Bhagavan said he had experienced his body dissolving into the five elements, yet called it back. "There has never been a saint so unique as Bhagavan, who remained so human, so simple and so ordinary to all appearances," Kunju Swami exclaimed in ecstasy, "and I don't think there could ever be another one like him again!" Made several corrections. Just acknowledging changes made by this post here. If you have already read, please re-read, as previously, before the changes, the essence was not communicated properly. Thank you. When the sages refer the body as "inert" it simply does not mean a 'stone'; Inert is an english substitute for Jada. it does not means just a stone, it does not means just something like "numb", "unintelligent" or, even, we cannot just say, that which is not chaitanya, because the Self alone is the Chaitanya which is all pervading, CAN THERE BE ANYTHING ELSE WITHOUT CHAITANYA. IS THERE SOMETHING THAT IS "NOT SELF" CAN THERE BE SOMETHING THAT IS INERT? Self is Everything! To say that that is stone, it is inert and this is body, it is inert is also in a way wrong only. Well it is initially said so to the Sadhaka who has strong identification with the body! Can the body operate without the Chaitanya of Self? Can the tree grow without water? without the rains? Can the body grow without the will of the Chaitanya to feed it with the fuel of food? Inert refers to avidya, ignorance. Inert, Jada also refers to the perceptions of duality, perception of "the other"
The root is this there is no "two" no "other" How can there exist 2 chaitanya? There is only One Chaitanya, the Self. Any other perception, of the 'other' is only referred as "Inert" or Jada and not the body itself! Friends, you all would remember how JadaBharata was referred as a "Jada" Jada is that which is void of life, or chaitanya. In the same way like how some small kids threw stones on Bhagavan when he was in Deep Samadhi thinking him to be a jada! In the Snake-Rope phenomenon, the snake refers to "jada" as it is really not there, "the perception of existence of snake" is referred as Jada, which is Avidya. In the same spirit, the body is referred to as jada. as long as the perception of snake is, so long we need to protect ourselves and be careful, and so long, the perception of body is, so long we will remain identified with it. All the lives chaitanya is just the same. The same Chaitanya is present in everything. Even to say 'present' is wrong because, to be present there has to be "the other" Therefore what is is only Chaitanya. Not even saying present. Like the spirit of "Isavasyam idam sarvam yat kim ca jagatyam jagat, tena tyaktena bhunjithah ma gridhah kasyasvid dhanam" The entire universe is indwelt, enveloped, covered by the Supreme Being, whatever this world be â€“ moving or non-moving, living or otherwise. 'I' am the Self in Everything said Krishna. Therefore there is no another Self or another 'I' or another 'chaitanya' and to believe so is referred as Jada. For the one who has strong body identification, is referred to as a Jada. In the case of Jada Bharata, while he was immersed in supreme bliss of Self, others who were 'Jada' themselves with identification with their bodies as Self, called Jada Bharata as 'Jada' such was the irony of other people in that incident. Friends, more over, while we have to be aware that body is not us; at the same time it is very important to also realise that body is not different from the Self. The body is not different and the Self is not different. Self is everything without any distinctiveness. When we see the stone, the attitude should be that that Self is the stone, and that Self am I That stone is not different. Here there is no question of "jada" at all, what is, is just Self alone. what is Jada. It dawns that 'Jada' is our own avidya. Jada is the snake in snake rope phenomenon. To say that the body is inert or Jada, itself, denotes the existence of a body? like denoting the existence of a snake in the snake rope phenomenon, like the belief in existence of a mirage. Hence this illusion in ourselves is referred to as "Jada" and to call the body as Jada/inert is wrong really, when we look deeply and discern. Bhagavan gave the example of how body traveled from train, then from a cart and reached the Ashram, but throughout the 'I' remained unmoved. Whether or not we are able to believe or perceive that the Body is not us, we have to believe blindly that we are not the body, doesn't matter if the body pains and we also experience the pains, it is ok. But The Great Sages have said that the Body is not ours, so that is the truth. It does not matter if we know it as yet. Our attitude should be that = "if the sages have said, it has to be true, so I believe" with the awareness that the intellect is never supreme. The Sages are always right!